Now Enrolling 2019 - 2020! Our Kindergarten program accepts students with birthdays after September 1st for Kindergarten readiness. The Kindergarten curriculum is individualized with a small group setting of 12 students with the understanding that children differ with their abilities and develop at different rates. 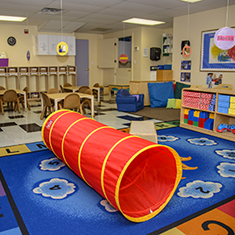 Progressive's curriculum provides students with individualized instruction to meet both social and academic needs incorporating play as the vehicle for learning. Please feel free to contact our Kindergarten teacher of 20 years at Progressive to schedule a tour/observation of our current program. 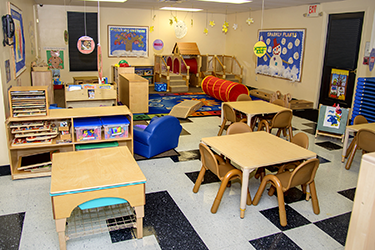 Our classroom is divided into interest centers which are an ideal setting for preschool children to explore, make things, experiment and pursue their interest. An in-depth study of a “topic” provides a meaningful way of learning for the child. Teachers and children create a web of important ideas for each topic. The web guides them visually as they begin their exploration and investigation. Building a partnership with families and insuring that they have a role in their child’s education is a crucial component of the preschool experience. To ensure ongoing family communication the preschool program has monthly newsletters, daily and weekly bulletins, assessment portfolios, anecdotal records, developmental progress reports and family engaging activities. Social and emotional skills develop as children demonstrate a strong and positive self-concept, appropriate self-control, and growth in their awareness of their responsibilities when interacting with others. Language development and communication occurs as the children develop skills in listening and expressing their thoughts and ideas. 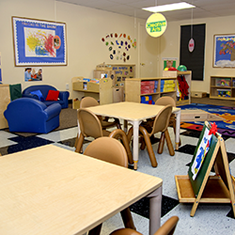 Writing center, stories, finger plays, poems, music, listening center and puppetry encourage this development. Literacy development emerges through exploring print in books, poems, songs, and begin to write and recognize letters in their name will help the child to understand that writing carries a message. Cognitive development skills develop as children explore cause and effect relationships, pretend play and use objects/toys in new ways. Mathematic development includes an understanding of number concepts, patterns and relationships, geometry and spatial sense, measurement, data collection, organization and representation. Science development occurs as children use scientific tools, five senses, observations, gathering and recording information, and making predictions based on real life experiences develop an understanding of the scientific method. Social studies helps children identify themselves as members of a family or classroom. 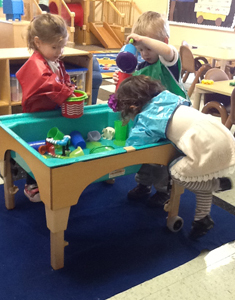 Children act out different settings or events that happen at home and at school using interest centers. Creative development occurs in individual and small group activities that use a variety of tools, art forms and media to express their ideas and creativity. Physical health and development strengthen large and small muscles using sensory experiences and practicing healthy behavior. A variety of manipulatives and writing materials promote hand/eye coordination and fine motor skills. 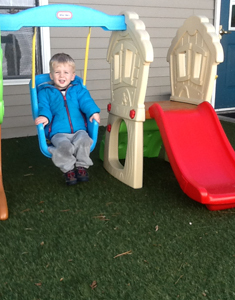 Playground equipment, music and movement activities strengthen balance, coordination and large muscle control.